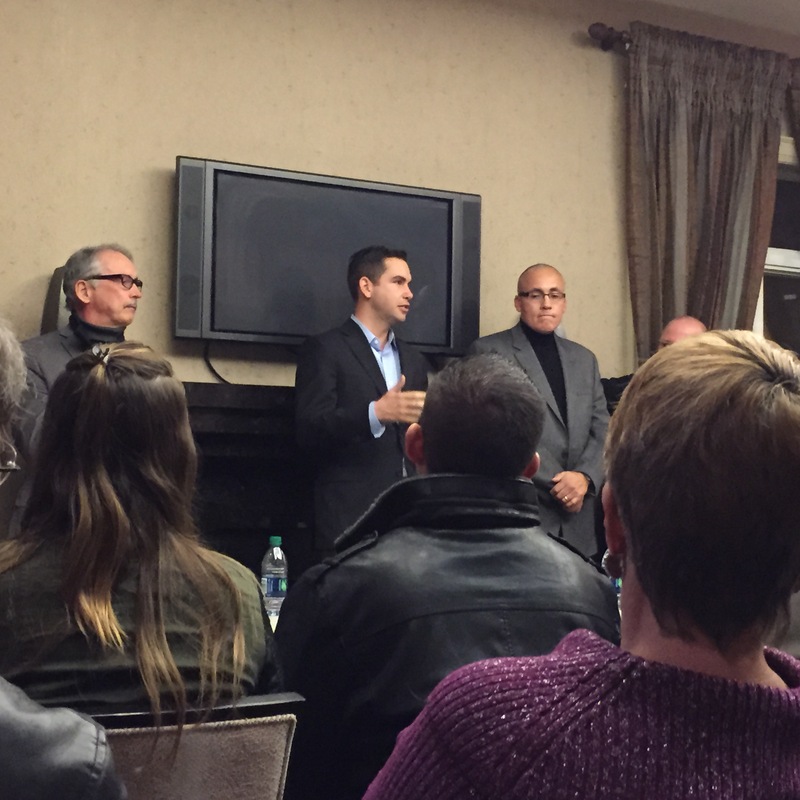 Many Port Liberte residents attended Sunday tonight’s town hall meeting with Mayor Fulop, Councilman Ward A Frank Gajewski, Deputy Mayor Vivian Brody-Phillips, and Safety Director James Shea. They listened to our issues and promised to look into many of them. Some of the questions presented by residents were the need for additional street lights on Chapel and Caven Point, proposed hotel and convention center with gambling, Army Reserve property, new schools being built in Jersey City as well as putting pressure on our developer to clean their messy empty lot on Chapel Avenue. The meeting was about our quality of life in Port Liberte. Mayor Fulop and his staff promised to return in a few months. Thank you Barbara Stamato for arranging the meeting.